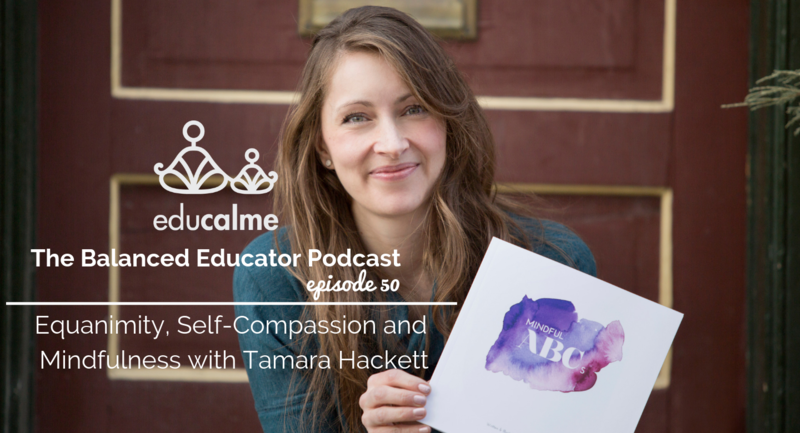 In this episode of The Balanced Educator Podcast, we’re interviewing Tamara Hackett, the owner of Sweet Clover Studios and the author & illustrator of the children’s books Mindful ABCs and Mindful 1,2,3. Tamara Hackett is a mindfulness-based Children’s author/illustrator and designer of creative and purposeful materials for all ages. Tamara aims to create moments of awareness, intention and inspiration through all of her work. Tamara talks about her journey to writing her books and her journey into practicing mindfulness for herself and with the kiddos in her life, her own and others! She talks about how her children collaborated with Tamara in the creation of her children’s books and shares the process of self-publishing a book. She explains ways that teachers are using her books in their classrooms. She talks about how she’s created cues for herself to remind herself to be in the present moment and shares what her morning rootine looks like. We chat about what equanimity means, how to practice it, and the importance of developing and having self-compassion as adults and teaching it explicitly to our kiddos. For more information about Tamara, and her publishing company (Sweet Clover Studios) and new releases please visit: www.tamarahackett.com or www.sweetcloverstudios.com. She’s also on Instagram at @sweet_clover_studios and would love to see you there. Check out the book Unplug! Previous: Previous post: TBE #049: Using the Past to Inform the Future – Reflecting on 2018!